Applications for the 2018 Wonderful Wyoming Boys’ State session, June 2-8, 2018, at the Wyoming State Fairgrounds in Douglas, are now being accepted online at www.wyoboysstate.org. 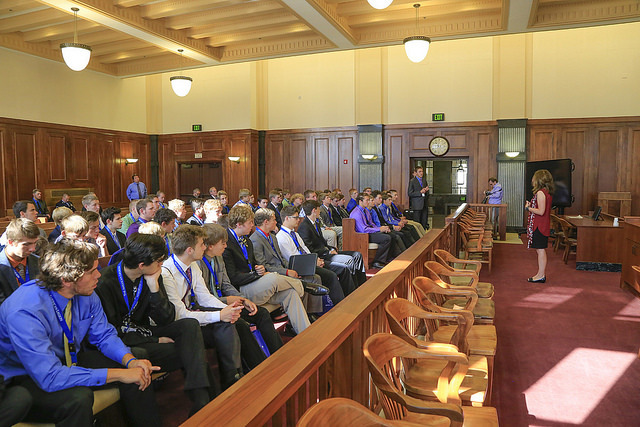 Boys’ State, the nation’s premier program to develop tomorrow’s leaders, is sponsored by the American Legion and is offered to boys who have completed their junior year and have at least one remaining semester in high school. Applicants must be of good character and have an interest in government. Delegates will compete for a variety of scholarships and may earn college credits for completion of the program. Two Wyoming delegates will have the opportunity to attend the Boys’ Nation program, in Washington, D.C. Applications must be submitted to the high school student planning office or guidance counselor by March 2.